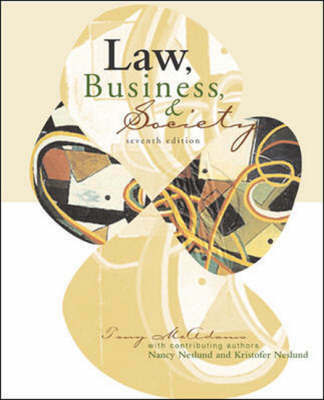 Law, Business, and Society, 7/e, by Tony McAdams, takes an interdisciplinary approach utilizing elements of law, political economy, international business, ethics, social responsibility and management. The author's primary goal is to produce a compelling holistic picture of the concepts by giving extensive attention to readings, provocative quotes and factual details. Students learn not merely the law but the law in context.